This blog is about life with a baby. It's not always what you expect and there is definitely no job description. Every baby is different and unique which is why motherhood can be so scary, fun, terrifying, exciting, and rewarding all at the same time. We encourage you to share your experiences - by sharing your experiences and commenting on other posts, you may be helping other moms. Sometimes the best road trip adventures are those planned as an afterthought. Our family was en route to Lake Placid for a pre-thanksgiving adventure with another family. As any good road tripper knows a midway stop is a must. Not only to refuel, recharge and stretch but to also expand the adventure. We decided to stop at the midway point and explore Brockville. Our plan was a quick bite to eat and a walk at the waterfront. What should have been an hour stop turned into three hours of exceptional tourist time! 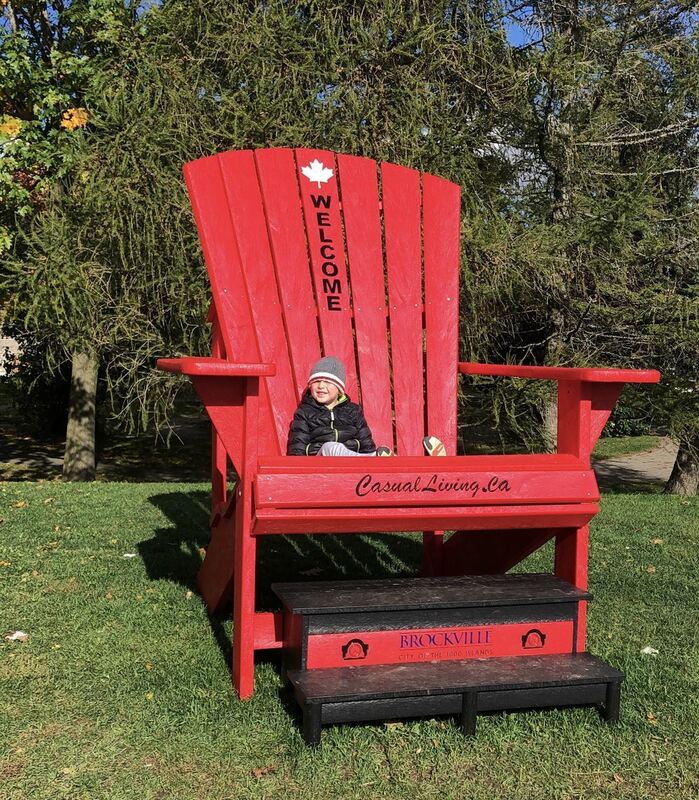 A 3-hour drive from our home in Stouffville, Brockville is one of the oldest communities in Ontario and sits quaintly on the St. Lawrence River in the Thousand Islands Region of Eastern Ontario. The beautiful limestone buildings, waterfront vantage points, and immense charm encouraged us to stay longer and to regret not having more time to explore. We started our adventure with a walk along the harbor and onto Blockhouse Island. The harbor had several yachts that looked like tall ships which pleased our kids, I mean what kid doesn't love a boat. Jutting out onto the St. Lawrence River the island had walking/biking trails, a beautiful fenced in playground, a cafe, well-maintained restrooms and large Muskoka chairs which were an excellent backdrop for the perfect tourist photo. Every angle was a gorgeous view of the St. Lawrence or upstate New York to the south. The sunny but cold weather certainly helped illuminate the beauty all around us. From Blockhouse Island we walked over to Canada's first railway tunnel. 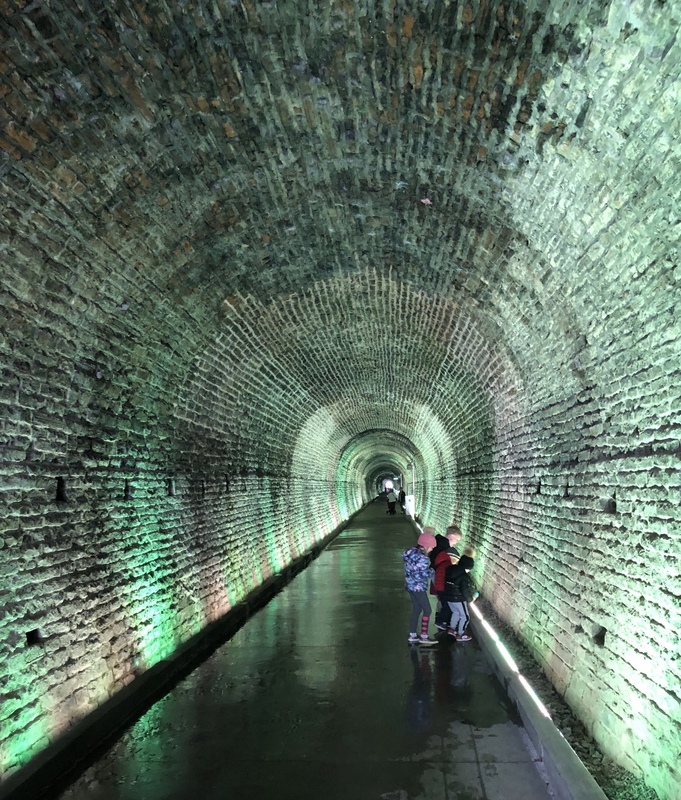 Renovated and repurposed as a tourist destination and part of Brockville's trail system the tunnel incorporates a fully programmable LED system. The tunnel comes to life with music and lights creating an intoxicating visual history of the tunnel and its importance to Canadian History. Mineral deposits, ground waterfalls, and original hatches and construction details are present. The kids loved the colors, the music and of course the sound of a train whistle in the background. The tunnel was interesting for us adults as well. The height and expanse of it, the historical plaques that allow you to gain a deeper appreciation and of course the lights and music were pretty cool too! Who doesn't love a good tragically hip tune? The tunnel pops you out uphill from the waterfront, and again the views of the waterway, city hall and the harbor are stunning. We walked downhill towards the main street. There was a great selection of shops and restaurants. 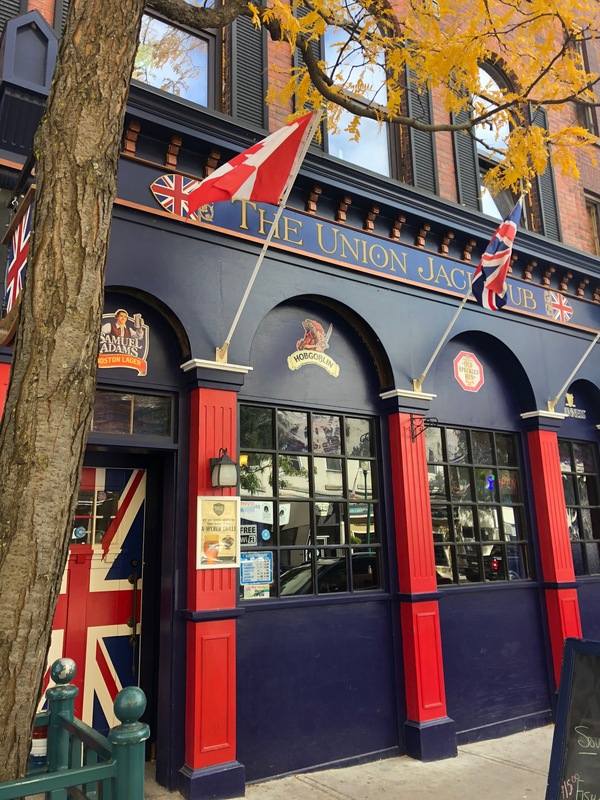 Feeling hungry and ready for a rest we opted for The Union Jack Pub. 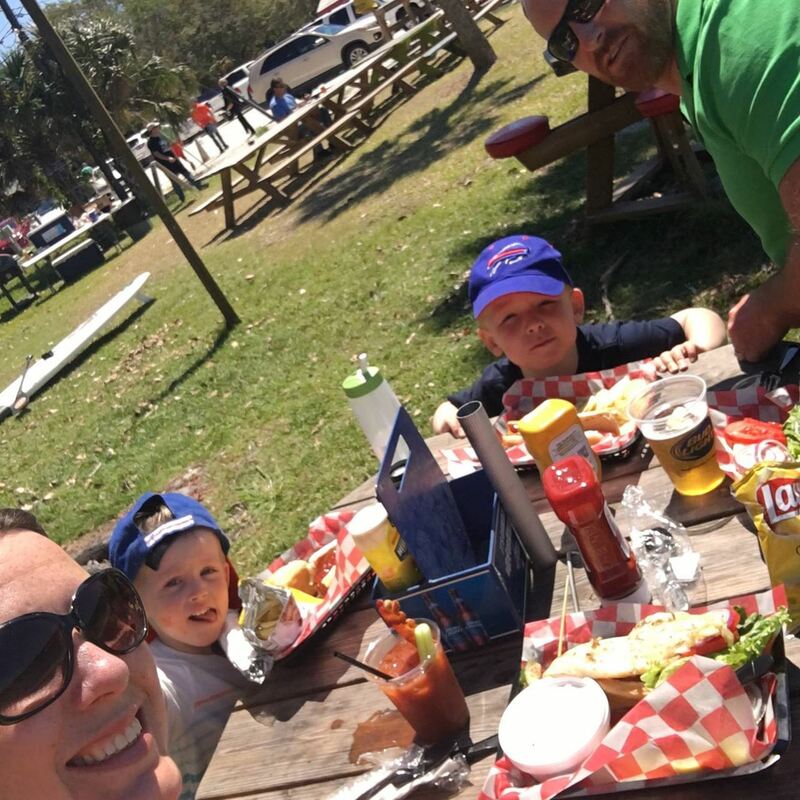 The reviews stated it was kid friendly with home cooked food and a local watering hole. Check, Check and Check. The interior while modest and in keeping with its name was comfortable and had plenty of space for our group of 10, strollers included. The service was excellent and best of all KIDS ATE FREE! And it was a very generous meal with a drink included. Our meals were delicious and the price point perfect. It was nice to support a local business and for that business to accommodate a large group, including 6 kids which are never an easy task and with no reservation. With full bellies and great memories, we loaded back into our vehicles to continue on our way. Of course with a mental note to return again and stay longer. Brockville was a delightful surprise, and her shores sure were gorgeous. It was suggested that when we return, we should experience the Aquatarium, cruise the 1000 islands by boat, explore Hardy park and return to the harbor area for some more delicious food and hopefully see a tall ship! We are thrilled to be supporting the Funtastical fundraiser for SickKids Foundation. 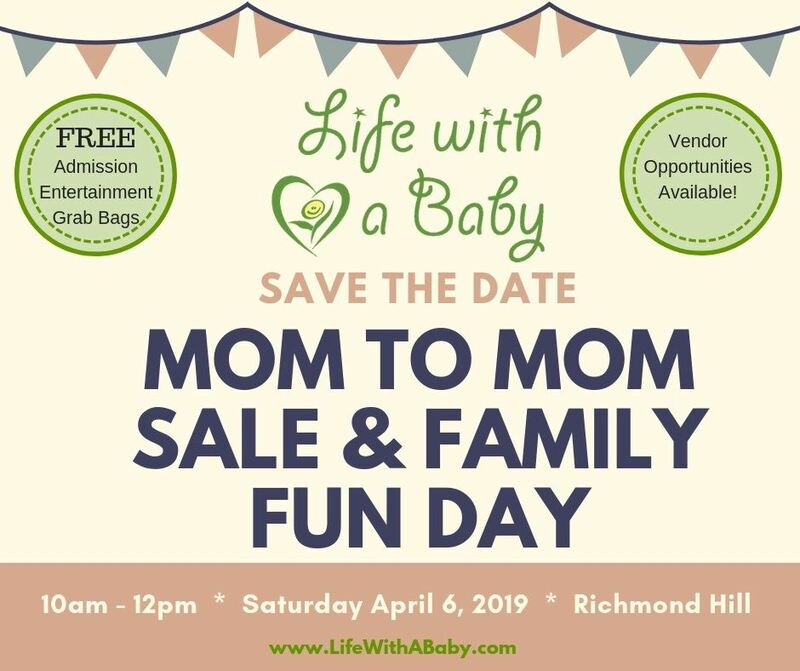 We hope to see lots of Life With A Baby families at the event. The line-up of entertainment is incredible and there will be lots to do. Plus it's indoors!!! You don't have to worry about the weather. We have special LWAB rates for up to 4 and up to 6 people. 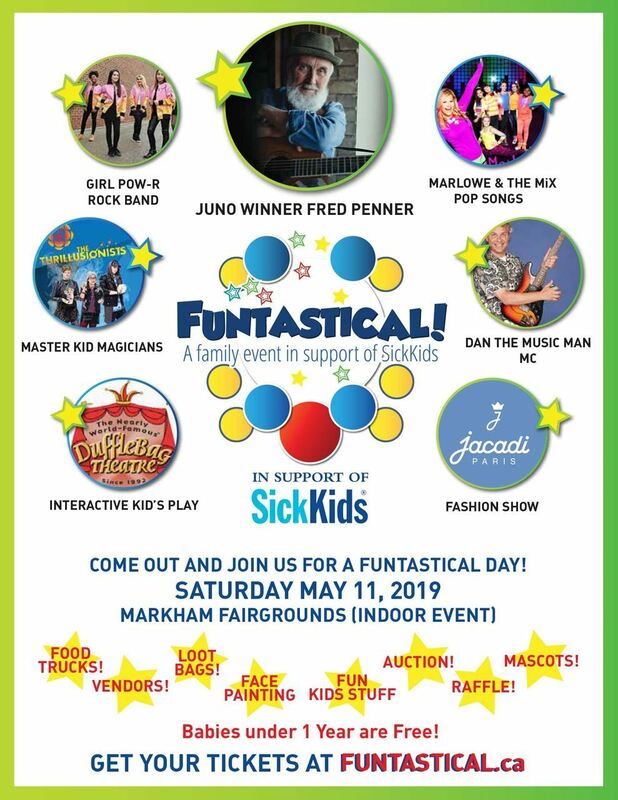 https://www.funtastical.ca/ Join us for this amazing family event and make a difference in the lives of sick children. * All Meals, Accommodations, Transportation & Baggage, Laundry, Snacks. * A 3:1 Camper: Staff Ratio which provides each camper with lots of personal attention. * All staff are Police Screened and are Certified in First-Aid & CPR or NLS Life Guard Certified. * Interactive Cabin Groups, Camper-Choice Programming, Friendships & Memories and much much more! * Weekly Themes & Spirit Days in addition to our daily Levels, Focus and Performance Periods. These types of programs provide our campers with the opportunity to choose their desired area of fun, development and improvement throughout their weekly stay at camp. And, let’s not forget all of the traditional cabin group activities that campers will do with their Bunkmates! * All Overnight Camp Sessions are a 1 Week Stay, 7 days and 7 nights, campers may extend their stay at any time! Campfires, Video & Photography, Fishing, Arts & Crafts, Drama, Dance, Music, Landsports, Soccer, Basketball, Baseball, Beach Volleyball, Culinary Creations, Ball Hockey, And much much more!!! * SAFETY is #1! Our lifejacket policy requires that all campers & CIT’s wear a life jacket during all water activities. 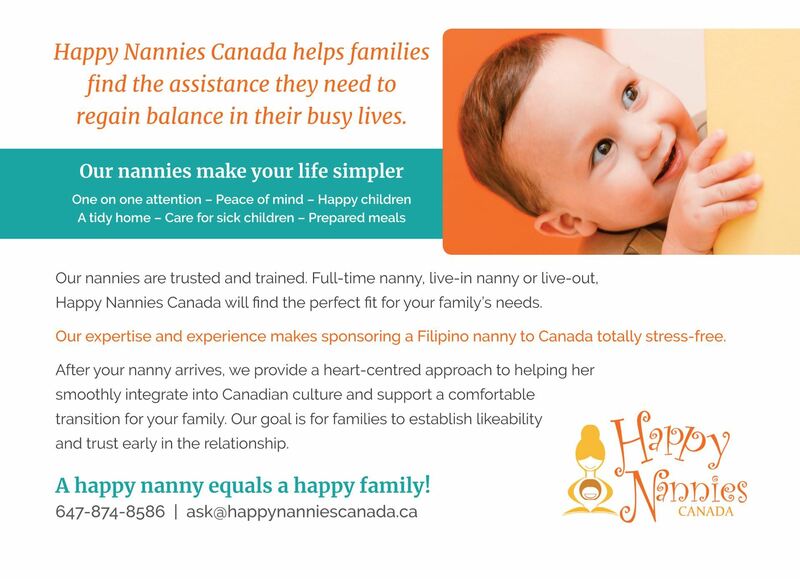 Happy Nannies Canada facilitates the immigration of Filipino nannies into Canada so families can live more enriched lives. Our nannies and elderly caregivers are trusted and trained. Part-time or full-time nanny, live-in nanny or live-out, Happy Nannies Canada will find the perfect fit for your family's needs. Employing your own nanny is a cost efficient way to ensure your child gets one on one dedicated attention, eats a balance diet, is well cared for and has all their personal needs met in the comfort and safety of your home. We match families with nannies from the Philippines through Canada's Temporary Foreign Worker Program. Our nannies receive extensive training and are highly qualified. We truly believe that happy nannies equal happy families. Service and support continues even after your nanny arrives at your door, to ensure as smooth a transition as possible for your family. Our goal is for families to establish likeability and trust early in the relationship. Happy Nannies Canada supports both families and nannies. Our heart-centred approach helps our Filipino nannies smoothly integrate into Canadian culture. We provide our nannies with ongoing support and opportunities to socialize outside of work. This helps them feel a sense of belonging and satisfaction in their new lives away from home. As expert immigration consultants, we navigate government programs and process applications on your behalf, making the process of hiring nannies from the Philippines simple for you. Exclusive for Life with a Baby members only. 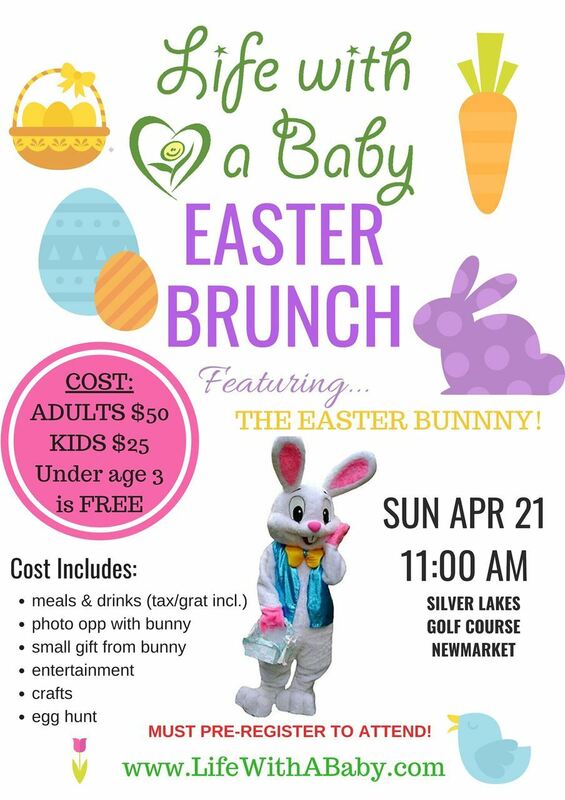 You get a $500 discount when you get a Happy Nanny from Happy Nannies Canada. Call/email us now to avail of this discount. We are very excited about our Moms night out Pre-Mother's Day Comedy Show & Dinner. Dress up in whatever makes you feel fabulous and join us for an evening of fun and laughter. 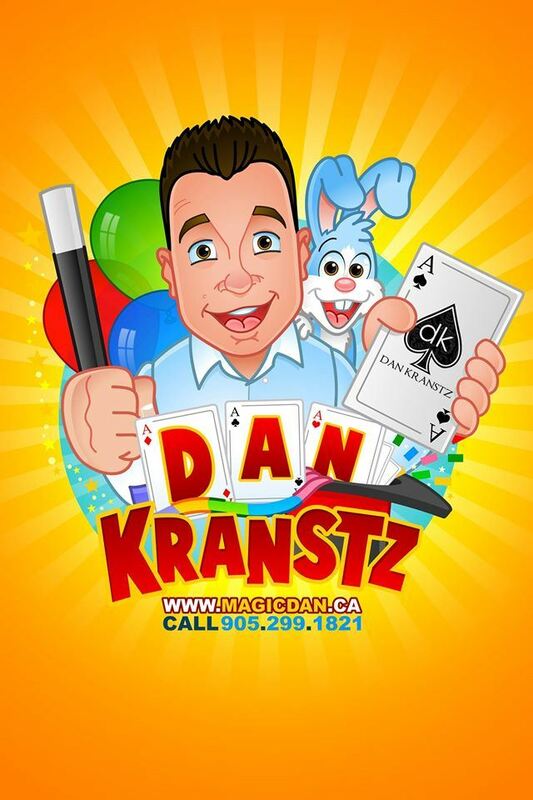 Join us for a memorable night out with dinner and a show with comedian, Kate Davis at the Thornhill Golf & Country Club. Limited spots are available! Grab your girlfriends and get a table for a special rate. Do you have a small business? 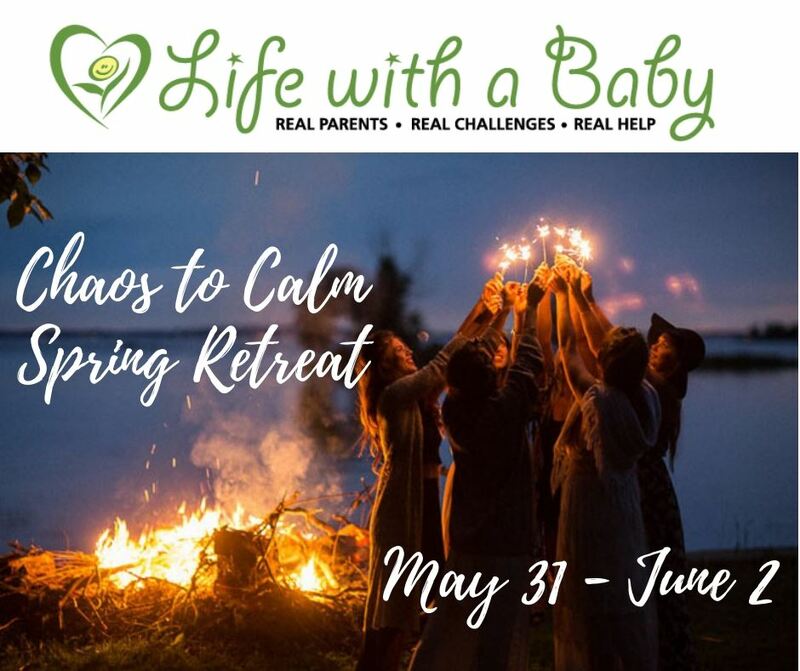 Have something that would be a good fit to share with moms? Register for the Business Mama rate which includes a table and dinner. A speaker, writer, comedian, actress and mother of three, Kate Davis has the unique ability to find humour in any situation. Theatrically trained in England, Kate returned to Canada to a successful run on Canadian stage and through the many stages of motherhood found a passion in comedy. 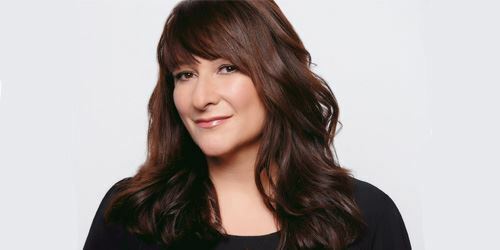 A five-time nominee at the Canadian Comedy Awards and star of her own hour-long comedy special on CTV and the Comedy Network, Kate has appeared on Breakfast Television, Star TV, Toronto 1, Prime, WTN, TVO, CBC Radio One “The Debaters” and The Mom Show. I am a stay at home mom and have been for a little more than 6 years now. Love my kids (boys aged 6, 4 and 2), really do, but I have to admit that I have been feeling the pull to get away for some quiet time for a while now. I follow a few spa resorts on Facebook because a girl can dream right? 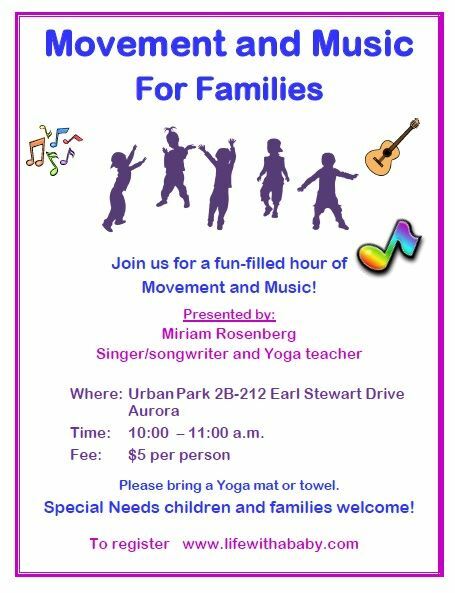 And then the best thing happened – Grail Springs Wellness Retreat popped up in my newsfeed with a “Bring A Friend For FREE” special. As luck would have it I convinced my mother that we needed a mother-daughter weekend away so she booked herself a room for 2 nights and I got to tag along completely FREE to renew my sense of sanity away from the little people. I even booked a few spa treatments for the Saturday of our stay and told the hubby that was my “Christmas present” so he was off the hook. I’ll admit I was a little anxious about leaving my boys, having never been away for more than a night, but I also knew that my husband was more than capable of holding down the fort so I could take off. We left on Friday morning for the 3 hour drive to Bancroft in hopes of arriving in time for lunch and, although it was super snowy, the drive was beautiful! When we walked into Grail Springs it was like walking into a little castle and I was struck by how quiet and serene it was. Although our room wasn’t ready yet, because we arrived before check in, the staff were so friendly and allowed us to keep our things behind the front desk until things were ready. After our tour we settled into the Great Room to relax until lunch was ready and it was so beautiful, so peaceful and comfy, that I fell asleep almost instantly snuggled up on the huge couch with a cozy blanket wrapped around me. We then had lunch in the intimate dining room – this is not a huge resort, I think I counted just 24 seats in the room. I’ll preface with this; I am not a healthy eater. I am a vegetarian and have been for many years now but I’ll admit I’m more of a “junk food vegetarian” than one that eats a lot of veggies and good stuff. I wasn’t sure how I would like the vegan meals – which are not selected by you, each meal is planned in advance and everyone gets the same thing (minus adjustments for allergies of course). I cannot even adequately describe how good that first lunch was. It was served with an herbal tea (again, not usually a fan) that was refreshing and delicious and I cleaned my plate of my salad and falafel wrap. After lunch we had a “bonding ceremony for two” that, truthfully, was strange and awkward but oddly enough left me emotional and thanking my mom for the role that she plays in my kid’s lives and my own. Having not had at all a great relationship growing up, this was kinda huge for me and felt like a good “opening” for the weekend. Then we had free time to check out the hot tub which overlooks the lake and I had no idea how gorgeous Bancroft is in winter. Fluffy snow sitting on all the trees, the view was spectacular and again just peacefully quiet while soaking away our troubles in the tub! The days at Grail Springs are somewhat scheduled but it’s up to the individual what you’d like to participate in and what’s not for you. 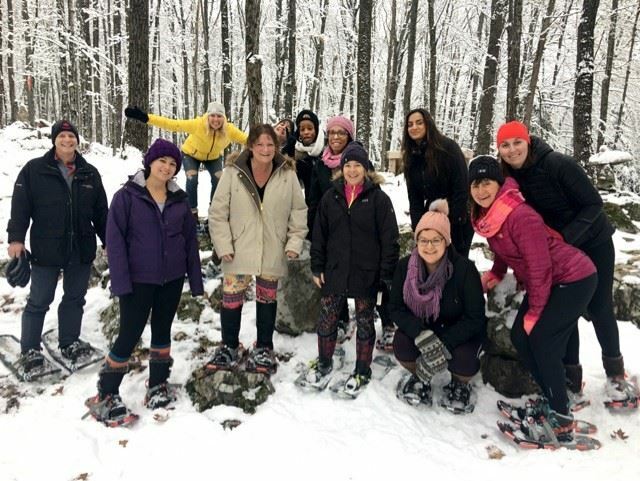 In the evenings there was motivational speaking and meditation, the mornings had snowshoe hikes through the incredible acreage that’s all part of Grail Springs followed by yoga. And then throughout the day (depending on what you’ve booked) your spa treatments are scheduled in too. I decided to try something different for my treatments so I booked a Colour Therapy Bath with Reiki, a CranioSacral Therapy and also an RMT massage. There were honestly so many choices for different spa treatments that I wanted to choose one of everything just to experience them all BUT the time (and obviously budget) didn't allow for that! So clearly this was an incredibly relaxing weekend away and I highly HIGHLY recommend putting this one on your bucket list. From the moment we arrived until we sadly had to leave everything was taken care of. My body felt completely re-energized after a weekend of truly taking care of it with exercise, pampering and amazing food. My favourite part of the weekend was the food – I can’t say enough good things about each and every meal. I can still taste those incredible flavours and, although I generally crave nothing but sweets, I seriously CRAVE those healthy vegan meals still, several months later! Travel is an important aspect of my life. In my single years I kept a change jar on the ready for whatever crazy plans my friends and I would make. Whether an all-inclusive we couldn’t afford or a jump in the car and return Sunday sun kissed and weary road trip. In our dating years I think my husband used travel to woo me and I used it to show how adventurous I could be. From ski weekends to camping, wine tours or Mexican getaways, the excitement of packing up and trying new things was thrilling. We learned more about each other in those miles travelled then any expensive dinner at a restaurant whose name we would never remember. As life changed (insert 3 kids, a dog, a mortgage and more responsibilities then passport stamps) we adapted our travel dreams to match reality. How do we keep the wanderlust alive when our budget is meager? How do we explore without plane tickets? We load into our minivan and hit the road. 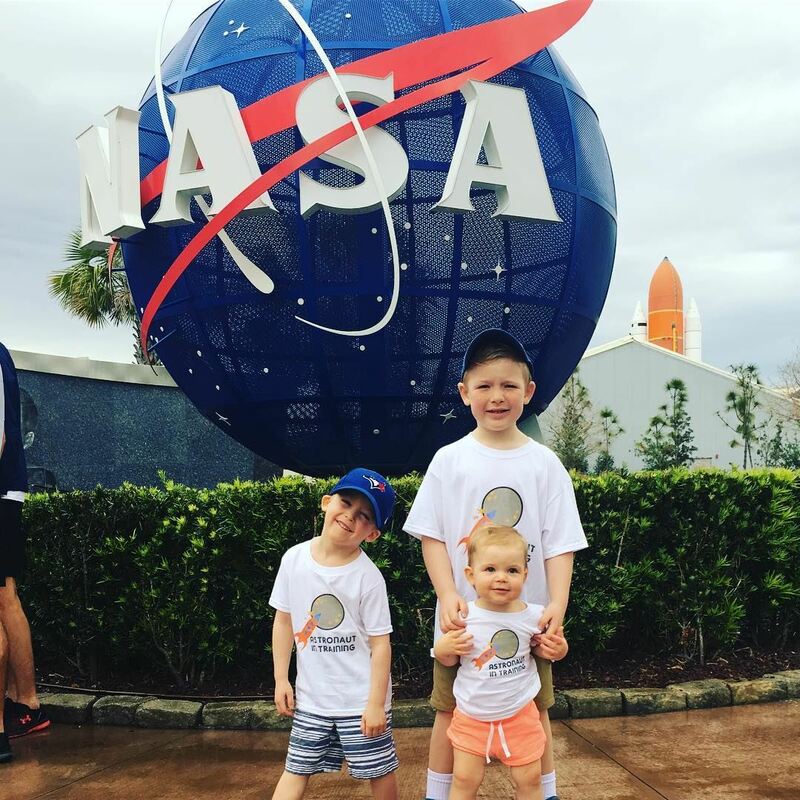 Sometimes the destination is more theme park hotel versus remote rugged landscape but we see value in adventures with our kids and the memories we create instead of checking off bucket list items. 7 years of road trips with1, then 2 and now 3 children means we have compiled a ton of information that make our trips faster to prepare for, more affordable and further distance. We have made mistakes (do not park next to a cow field to nurse your baby!) but our kids are more resilient and we have all learned to adapt and be flexible. Here are our tips to prepare for your family road trip. Each trip you take, every mile you drive will not be the same. You might experience the Mecca of road trips, the one that all tripping families long for. 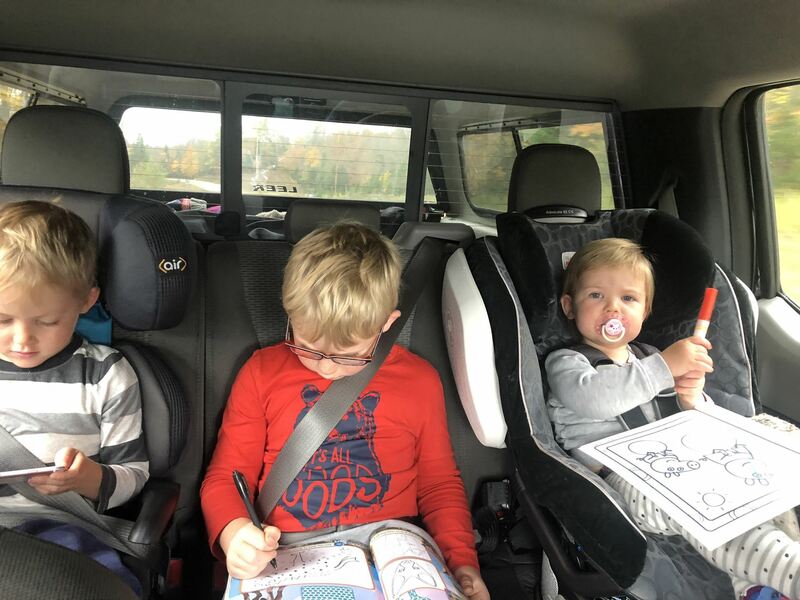 The elusive road trip where children are happy, quiet and occupy their time with books and magazines, coloring and car games. Full of perfect family selfies and every member will smile with joy at each new experience you tirelessly planned. You will return rested and euphoric that you plan your next trip just weeks later, but this time further away, why not? Then you have the most common of road trips. Tantrum filled, garbage everywhere, “I’m bored” sung at the top of lungs, fast food and video game fuelled miles of family fun. This trip while not as restful or perfect will still amount to great family adventure its just wrapped up and packaged with crazy enroute. Both trips bring about closeness and new experiences but your expectation level will determine what you take away from the trip. You have to be ok with rain, forgotten items, getting lost and sick kids the same way you are ok with sunsets, picnics and late check outs. A roll with the punches type attitude at all times. The beauty of travelling in your car, van, truck or RV is not having luggage limits and weight restrictions. You can bring whatever your little ones require for their sanity and yours without having to make sacrifices. Personally I love to pack with a level of organization and thoughtfulness that borders on obsessive. “Everything has a home and everything in its home” is my motto. I prep our trips with lists and an idea of what each person will require for any of the activities planned and their regular daily living needs all according to the weather conditions that might apply. Categories like; hygiene, medicinal/first Aid, sleeping, bathing/swimming, clothing, outerwear, eating in/out, toileting, car activities and hotel/rental/outdoor activities. Of course this is all dependent on your destination. Packing for camping, for example, requires cooking materials, tents etc. With three kids there have been many trips where baby seats, playpens, jumparoos and nursing pillows were part of the list. There are no limits. My packing materials are a variety of vessels purchased or recycled over the years. I love Thirty31 Gifts - Utility totes in large and medium for loose items like beach supplies, oversized outerwear, food and even baby gear. They have a line of pouches that I use for packing snacks, storing all of our medicinal/First Aid needs and for smaller trips I have packed all our hygiene supplies in one. Costco has a great line of foldable crates that stack nicely and hold a ton. Reusable shopping bags are great for kids to carry their car activities or the variety of electronics and cords that come on most road trips. We mostly pack our clothing in canvas duffel bags that are flexible and easy to over stuff and stack on top of one another in the van. I am not a fan of backpacks for the kids. They never seem to carry them and they are a pain to carry in bundles as an adult. The items never go back in the same way, the zipper is annoying to open and close and they get muddy/wet/food stained etc. I always pack a separate adult bag for the car. It contains our maps and travel book (we geek out and track mileage, timing and spending to see how we compare to previous trips, I know, I know insert face palm here) phone chargers, books, headphones for podcasts, first aid kit, pens, an envelope with some emergency money, camera, paper towel, Lysol wipes, empty shopping bags for garbage, gravol and gum. Trust me! I know it doesn’t sound like the spontaneous adventure you saw on those adorable car commercials. But you will thank me later. Planning ahead doesn’t just mean booking an AirBnB or hotel at your destination. It means plan for the drive by looking into the rest areas, tourism, restaurant and gas options and a printed map with directions along the way. Look at your total travel time to the destination and then calculate the stops you will require and add that to your total travel time. For example for our drive to Lake Placid the driving time was estimated at 5hrs 46mins. With a departure time of 7am, a meal/gas stop and a planned 2hr tourism stop plus the border crossing it translated into an 8.5hr day. Knowing the estimated travel time, where and what we want to do on the way makes it more enjoyable and less frantic. If you only remember one thing make it this; Trying to find a hotel that will take more then 4 people with a reasonable nightly rate is difficult if you don’t do it in advance. Hotels charge premium rates for larger families and most often never have a sale or deal when you arrive. There are often limited rooms to handle more then 4 people as well. Trust me! 2 hours of night driving with three crying kids around North Carolina just to find a room for the night taught us a serious lesson. Road Trips can be as cost saving or luxury as you make them. You can choose between gorgeous hotels, resorts, AirBnB’s, fancy places to eat or fast food chains, snacks you pack or snacks you buy on the road. Decide at the planning stage what you want to spend and make it happen. Take into account currency exchange, travel insurance, oil changes, tolls, gas, fluids, food, car activities, long distance and data usage, lodging, activities, impromptu purchases if you forgot, lost or had an emergency and of course souvenirs! You might think an ipad and some movies will do it. For short distances (under 4 hrs) it might. But kids get bored, motion sick, anxious or just annoying (are we there yet?) because they’re as excited as you are, if not more. We have tried a variety of things depending on the ages and stages of our kids. 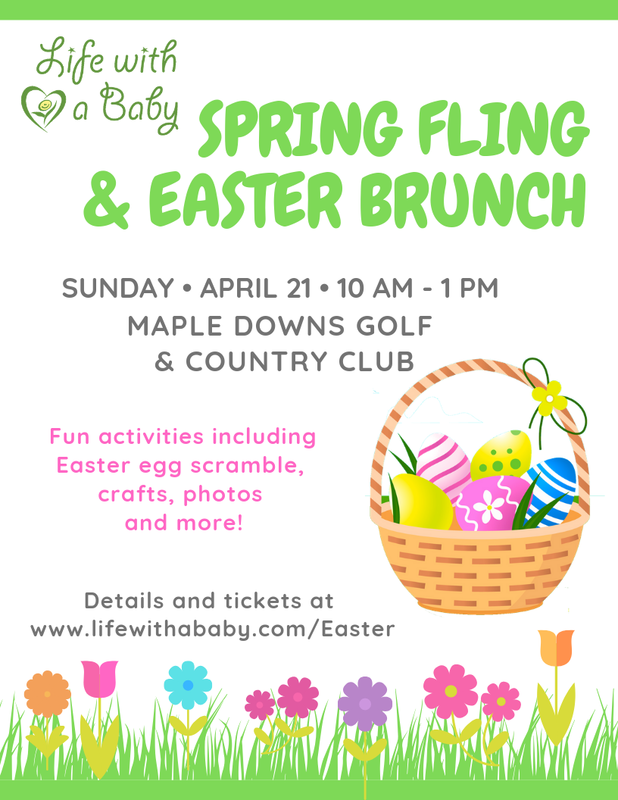 Babies – puppets, blocks, flashlights, music, rattles, car/stroller toys, snacks, pacifiers, cause and effect toys, tissue paper for crinkling, bubble wrap for squeezing, rain sticks and time out bottles. Kindergarten –this stage was about showing them how much time remained. I picked up toys or trinkets from the dollar store or the loot bag section of Mastermind toys based on my kids interests and had them individually wrapped. They got one every few hours. Or make a linking chain for each hour of the drive and every hour you take one of the links off. Kids love when they fall asleep and wake up to remove 3 chains. Also Ipads, books, books on tape, movies, glow sticks, coloring, with special markers, card games, car games like I spy/car bingo/I’m going camping etc. Stay tuned for tips, guides and information specific to family friendly road trip destinations. On Mental Health : Why we need to talk more, not less. Yesterday was Bell Let’s Talk Day in Canada and I was really surprised by the number of comments I saw saying that we need to stop talking about mental health. It occurred to me that most people do not understand what stigma is. I’m going to give a breakdown of why we need to talk more about Maternal Mental Health. 1. Not talking about it perpetuates the stigma about mental health and that it's a fluff illness. 2. Because of stigma parents do not reach out for help. 3. Without help and treatment, people suffer in silence which leads to making the situation worse. 4. Maternal suicide is a leading cause of death in postpartum women. So tell me again why we need to stop talking about this! What we need to do is do is talk more - not just on Bell Lets Talk Day. We need to talk about mental health honestly not just a text or social media posts. We need to speak openly with the people in our families. We need to talk to our friends and co-workers. We need to talk often and openly and more than one day of the year because we need to break down stigma. Did you know that none of the major mental health organizations have maternal mental health as a part of their mandate? We need these organization to come together and work with our provinces to create a national strategy for maternal mental health. We need to take the onus off of new mothers for reaching out for help when they may not even know they are ill.
We need a strategy that includes screening, referral pathways and treatment options for Canadian mothers and not just the lucky ones who have won the postal code lottery. All of this is why on Bell Lets Talk Day we talked. We talked a lot with the #BellLetsTalkMaternalMentalHealth hashtag. We reached over 5 million impressions with over 1000 people participating. But we did more than talk. 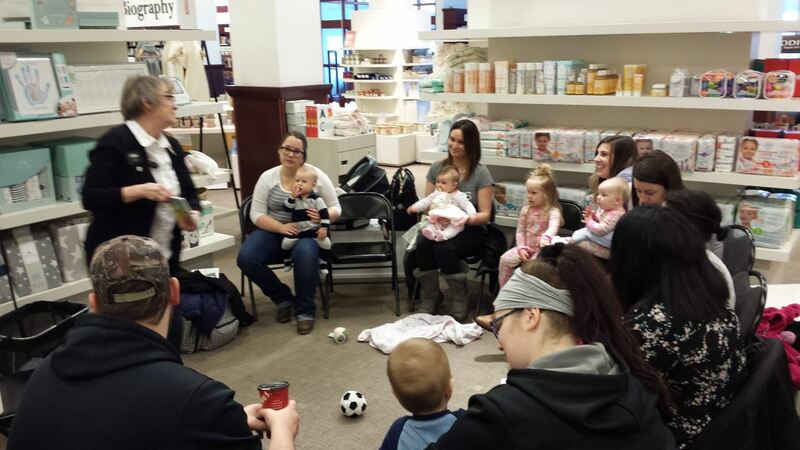 We held in person events where parents were able to get together and talk about self-care and mental wellness. 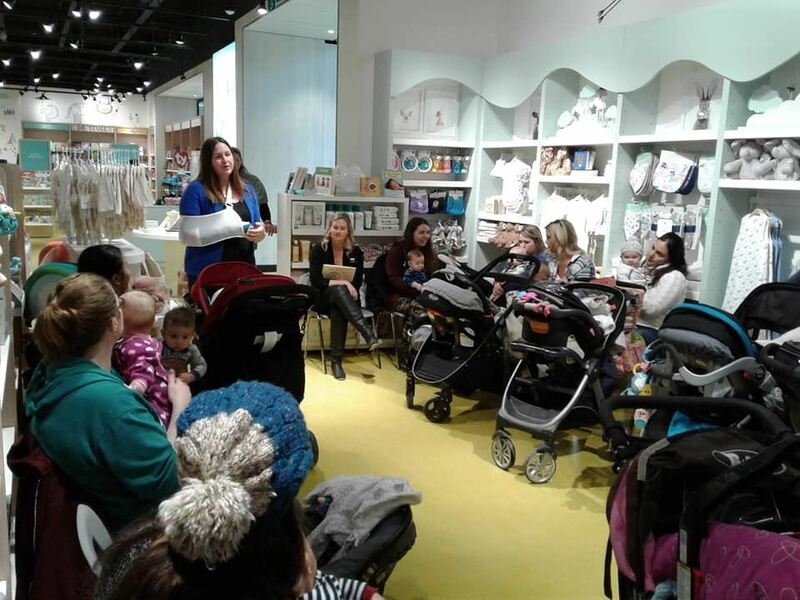 Over 150 mothers and their babies came out to Indigo stores across the country. I share my story a lot. I talked about maternal mental health a lot. 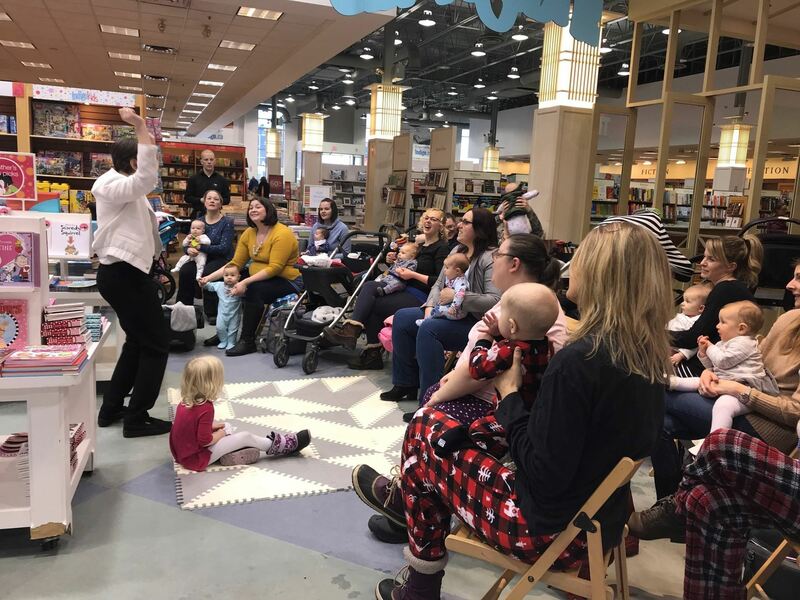 I believe the storytelling saves lives and parents need to know that they’re not alone. But that’s not all I do - I run the Life With A Baby which chapters across the country where we focussed heavily on preventing perinatal mood and anxiety disorders through peer support. I advocate for mothers. 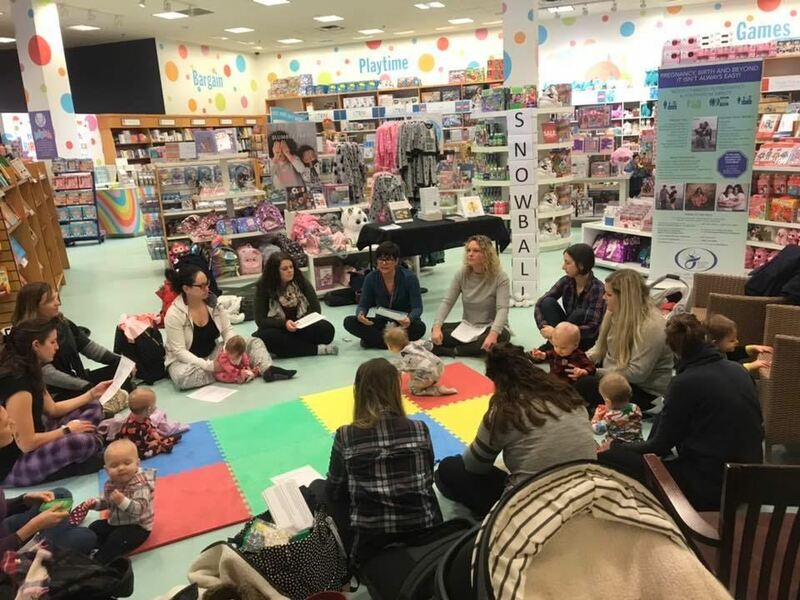 Last year working with the Perinatal Mental Health Coalition Canada we submitted a letter to get Maternal Mental Health on the agenda for the National Health Ministers' meeting. I also submitted a brief for the Great Canadian Healthcare Debate to get more people aware of Perinatal Mood & Anxiety Disorders and push for screening. To all the people who are saying we should talk less, I hope that you are doing something. I hope you are advocating for mental health. I hope you’re creating safe places. I hope you are sharing resources. I hope you are breaking down barriers. Because if all you are doing is calling out people who are trying to make a difference - we need less of that. I'm grateful to Bell for starting the Lets Talk campaign now it's up to each of us to push for me and create lasting change in our local communities and across Canada.